Looking for a big home on a corner lot with a pool? Here it is. This home offers over 2400 sq ft. with 4 bedrooms and 3 1/2 bathrooms!This home is beautifully landscaped with irrigation system and nice stone work on the front of the home. Here you will find a nice spacious kitchen with an island,and dinette area off of the cozy living room, all with views of the gorgeous pool. This home also has a formal dining room for family gatherings. All 4 bedrooms are found upstairs with the huge master bedroom and the additional room that can be used as an office,storage or media room. The backyard is maintenance free! The pool area has tile and pavers covering the deck so no mowing here. This pool also has waterfalls and is surrounded by vinyl privacy fence. 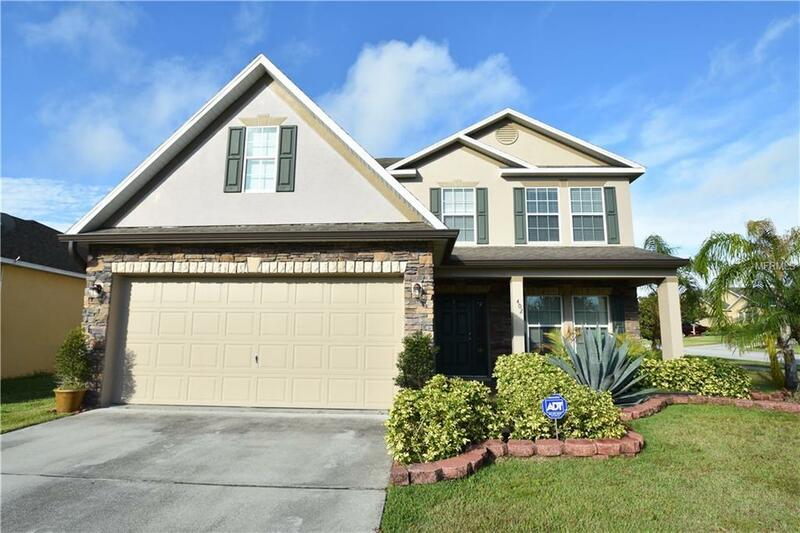 Schedule an appointment to see this well maintained home today!